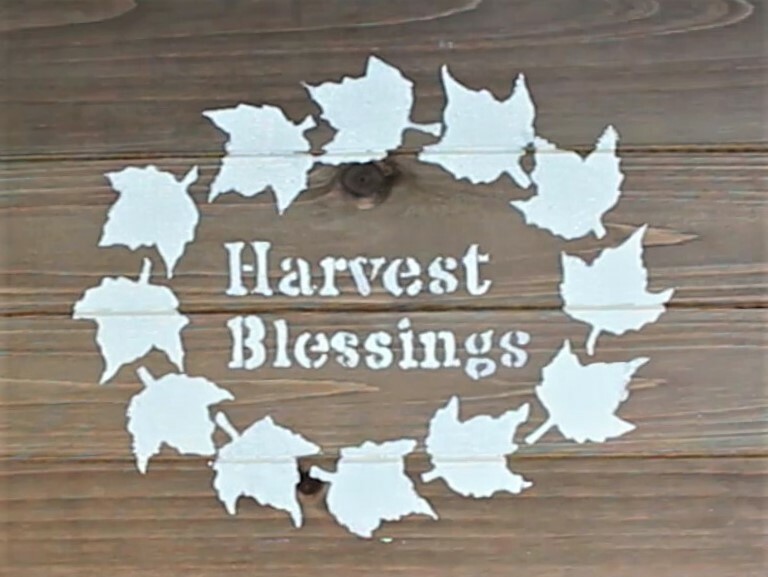 It’s harvest time and one way to celebrate autumn is to paint a sign to display with your pumpkins and corn. I created a homemade stencil by cutting a design from a plastic divider with my wood burning tool. 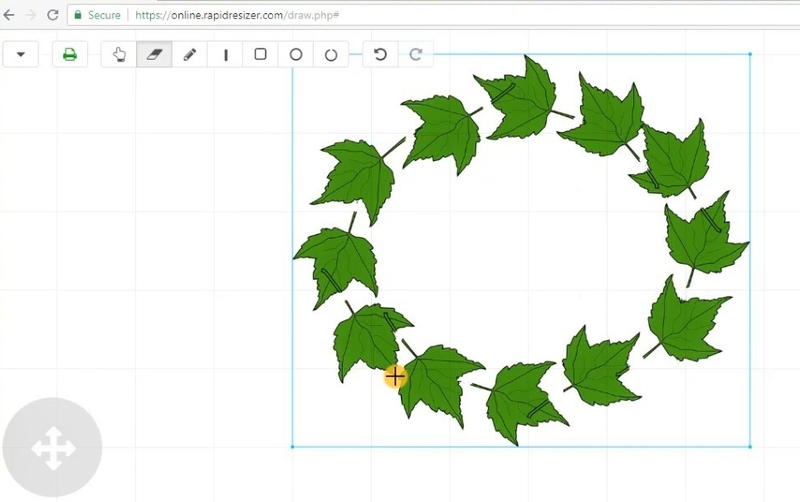 Watch my tutorial below to see how I used Rapid Resizer to make this fall project. I uploaded this image to Rapid Resizer from Pixabay where you can find images that are free for personal or commercial use. You can download it from the source here. 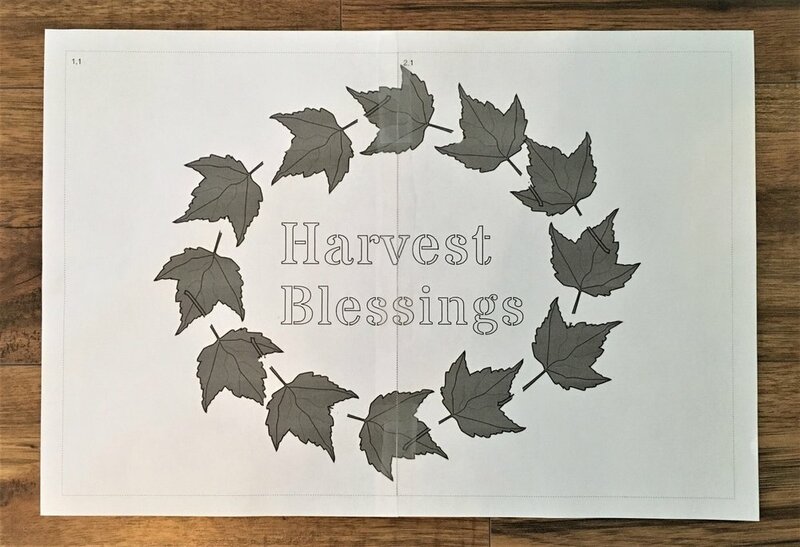 Next I added the phrase ‘Harvest Blessings’ with a stencil font called Stardos Stencil Regular from the Rapid Resizer font list. I printed out the image in black and white on two pages, and cut off the borders and taped them together. I taped the printout to my work surface and then placed the pane of glass on top. Then I taped the plastic divider (just the kind from a school binder) to the glass so that the heating tool would not burn the printout. If you would like a sturdier stencil then you can use a Mylar sheet (the non-adhesive type) which you can get at a craft supply shop. Next I used my wood burning tool to trace the shapes and words of the stencil. Remove each piece as you burn it or it may re-attach to the divider as it cools. Then I used a foam wedge to dab the paint on using a straight up-and-down motion. A stencil brush would work with Mylar but the plastic divider is quite thin and allows the paint to seep outside of the lines. I used white paint but hey it’s autumn so feel free to use orange and golden paint too! Then I filled in the end of the stems (you can even reconnect them to the other leaves if you like) and fixed up the letters with a paintbrush. And then I put it on display with some of my own harvest blessings! Let us know if you have any questions or comments about making a customized stencil. And please share any pictures of art that you make using Rapid Resizer if you like!